Think about your job and your average work week for a moment. How much time would you estimate is wasted in unproductive meetings or endless emails, reports, and documentation? Just imagine what you could do with all that lost time. The author admits that many of these issues are familiar terrain for the endless stream of business gurus who offer custom-built solutions. Build trust, remove bottlenecks, break-down silos, empower teams, engage employees, and remove short-term thinking. There are dozens of books available on each of these topics. The missing element, Dignan argues, is the recognition that organizations aren’t machines with upgradeable components. They are “complex human systems full of potential waiting to be released.” Only by embracing a complete reinvention of your organization can you hope to enable your employees to do the best work of their lives. If you add the number of hours of preparation for a meeting – research, preparing summary reports and PowerPoint presentations – to the number of hours in that meeting, and the number of hours in email follow-ups, and multiply that by the number of people in that meeting, the true cost can be astronomical. In Dignan’s opening example, the organization identified the annual cost of “one [crappy] meeting” as three million dollars – for one meeting. Organizations that are willing to take the leap of faith of cancelling that meeting and waiting to see what happens (typically nothing) quickly move-on to other opportunities for elimination – budgets, approval processes, rigid structures. You can call it a lightbulb moment or a removal of the blinders of preconceived notions, but the list of what else should be up for grabs can grow very quickly. Dignan, who also wrote Game Frame: Using Games as a Strategy for Success, offers diverse examples that underscore the message that such transformations are possible in any industry. A bank that abandoned the traditional budgeting process and still outperformed its competition. A healthcare provider that embraced decentralization with a head office of only fifty people supporting a field workforce of over fourteen thousand. In each case, the transformation began not with a flavor-of-the-month guru, but with a simple question to the employees: “What gets in the way of the best work of your lives?” The responses may be a little timid at first, but if the leaders are willing to display the trust and confidence to let their employees figure out better alternatives, the growth potential is truly unlimited. Brave New Work challenges the traditional mandates of a top-down organizational matrix, providing detailed examples of transformations based on autonomy, trust and transparency. 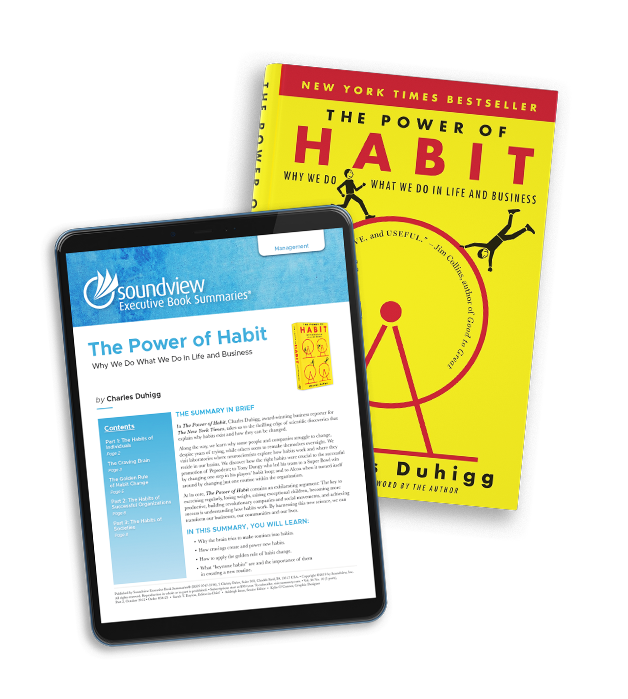 Andy Ghillyer is a Contributing Writer at Soundview. He lives in Tampa, FL where he specializes in writing for the B2B and academic markets while raising a growing menagerie of cats and dogs. His other reviews are here.